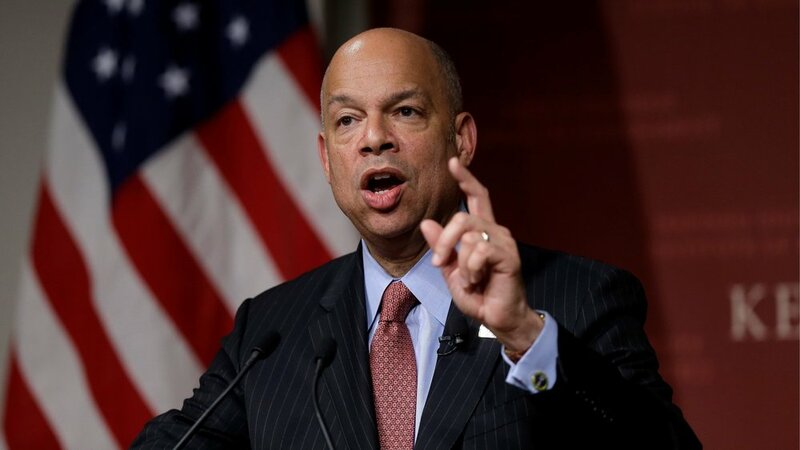 Jeh Johnson served as the fourth United States Secretary of Homeland Security from 2013-2017 in the Obama Administration. He was previously the General Counsel of the Department of Defense from 2009-2012. Currently, he is a partner at the law firm Paul, Weiss, Rifkind, Wharton & Garrison as well as a member of the board of directors at Lockheed Martin Corporation. Tom Perez served as the Secretary of Labor from 2013-2017 in the Obama Administration. He has served as the Democratic National Committee chair since February 2017. Before assuming a cabinet position, he served as the Assistant Attorney General for Civil Rights. Prior to that, he worked as a consumer advocate and civil rights attorney. John King Jr. served as the 10th United States Secretary of Education from 2016 to 2017. Immediately prior to that, he served as that department’s acting Secretary. Before assuming a federal position, he served as the New York State Education Commissioner, from 2011-2014. Currently, he is the President and CEO of the Education Trust, a nonprofit organization that focuses on equity in education. Representative Lewis has been a Representative for Georgia’s 5th congressional district since 1987. He is also the dean of the Georgia congressional delegation. He served as the chairman of the Student Nonviolent Coordinating Committee (SNCC) as one of the “big six” leaders of groups who organized the 1963 March on Washington. He has been a champion in the Civil Rights Movement and has progressed key pieces of legislation ending racial segregation in the United States. During his time in Congress, he served as Chief Deputy Whip since 1991 and has been Senior Chief Deputy Whip since 2003. Representative Chu has served as the U.S. Representative for California’s 27th congressional district since 2009. She is the first Chinese-American woman elected to the U.S. Congress. She previously served as the Chair of the California Board of Equalization. Before that, she served on the Garvey Unified School District Board of Education, the Monterey Park City Council (with five terms as mayor) and the California State Assembly. Representative Carson has been the U.S. Representative for Indiana’s 7th congressional district since 2008. He is the second Muslim to be elected to Congress, following Keith Ellison. During his tenure in Congress, he has served on the House Armed Services Committee and the House Committee on Transportation and Infrastructure. Originally, he worked as an officer of the Indiana Alcohol and Tobacco Commission. He was later employed in the anti-terrorism division of Indiana’s Department of Homeland Security. Representative Beyer is an American businessman, diplomat and politician who has served as the U.S. Representative for Virginia’s 8th congressional district since 2015. Previously, he owned a number of automobile dealerships throughout Virginia. From 1990-1998, he served as the Lieutenant Governor of Virginia. Xavier Becerra has served as California's 33rd Attorney General since 2017. Prior to this position, he was a member of the U.S. House of Representatives for California’s 34th congressional district from 1993 to 2017. 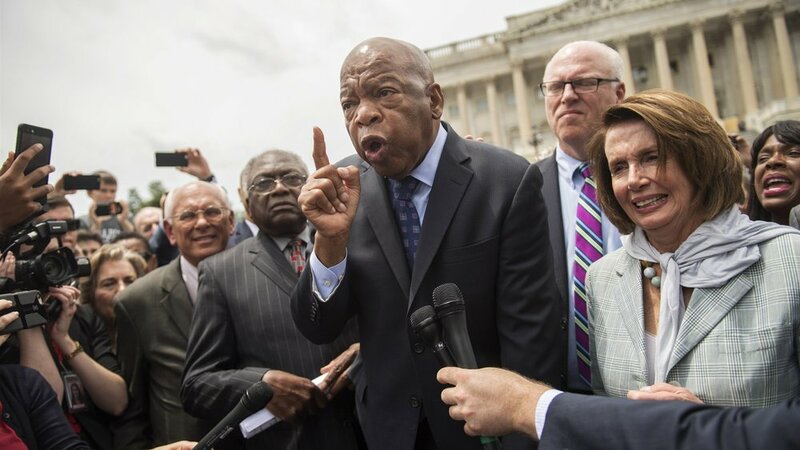 He also served as the Chairman of the House Democratic Caucus. 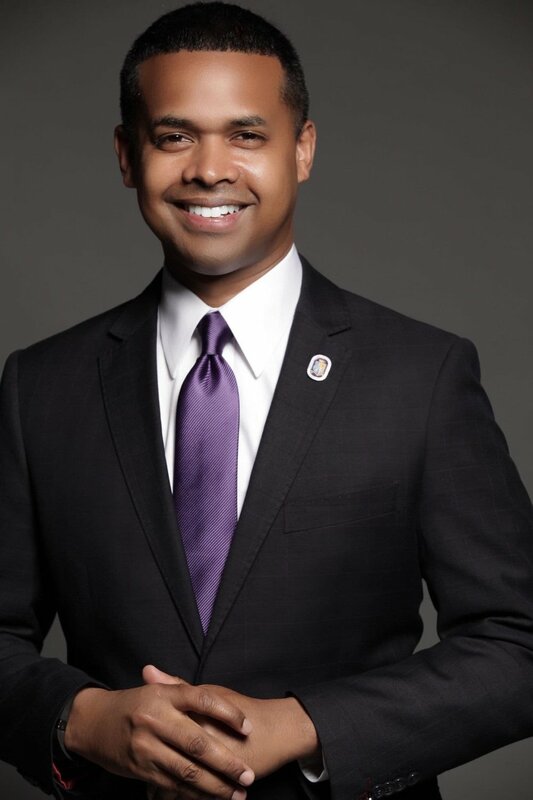 Paul is currently Chief of Staff to the president of Howard University. Previously, he served on the White House staff and played an important role in advancing key initiatives like “ObamaCare”. He was later appointed to be Director of AmeriCorps VISTA (Volunteers in Service to America) by President Obama, before he served as the Acting Director of the Department's Community Relations Service at the U.S. Department of Justice. Ben is an American political advisor and former White House staff member who previously served as the Deputy National Security Advisor for Strategic Communications for U.S. President Barack Obama and as an advisor on the Joint Comprehensive Plan of Action with Iran. In February 2018 he co-founded the political action committee National Security Action with Jake Sullivan, a former senior foreign policy advisor to Secretary of State Hillary Clinton and Vice President Joe Biden. The organization is designed to promote a progressive vision for foreign policy and national security solutions. Rashad is an American attorney who served as the U.S. Special Envoy of President Barack Obama to the Organisation of Islamic Cooperation (OIC). Hussain, an American Muslim of Indian heritage, has also served on the National Security Council and in the Department of Justice as a trial attorney and a criminal and national security prosecutor. 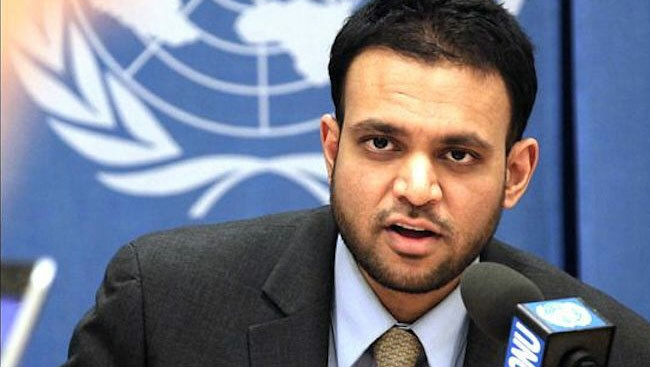 In his role as Envoy to the OIC, Hussain traveled to numerous countries and international gatherings, served as a foreign policy advisor, and met with foreign leaders and Muslims around the world. David Karp is an American web developer and entrepreneur. He is the founder and former CEO of the short-form blogging platform Tumblr, which was launched in February 2007. In August 2009, Karp was named Best Young Tech Entrepreneur 2009 by BusinessWeek and in 2010, he was named to the MIT Technology Review TR35 as one of the top 35 innovators in the world under the age of 35. Karp joined the Planned Parenthood Board of Directors in 2014, and in 2017, launched an initiative via Tumblr calling on the tech industry to support Planned Parenthood. Stosh Cotler is the CEO of Bend the Arc: Jewish Action and Bend the Arc: A Jewish Partnership for Justice. She has accumulated over 30 years of experience as an organizer, trainer, and leader within movements of justice and equity. Currently, as CEO of Bend the Arc, she is helping to renew and expand the Jewish community’s role in progressive social change. Benjamin Wittes is an American journalist who focuses on issues of national security and law. He is a Senior Fellow in Governance Studies at the Brookings Institution, where he is the Research Director in Public Law. He is also the Co-Director of the Harvard Law School-Brookings Project on Law and Security. Additionally, he co-founded the Lawfare Blog, which is devoted to the discussion of U.S. national security choices. Finally, he is a member of the Hoover Institution’s Task Force on National Security and Law. 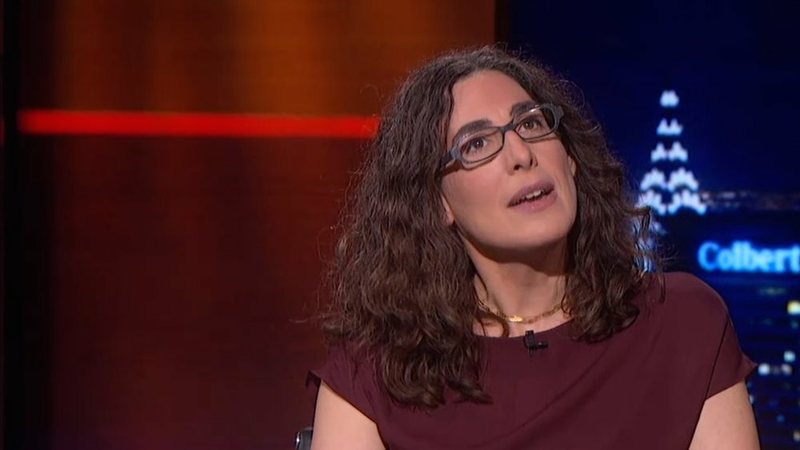 Sarah Koenig is an American Journalist and public radio personality. She is the former producer of the television and radio program, This American Life, and the host and executive producer of the podcast Serial. During her time as a journalist, she worked as a reporter for ABC News in Russia and later for the New York Times. She began working as a producer for This American Life in 2004. She has won Peabody Awards from both This American Life and Serial.